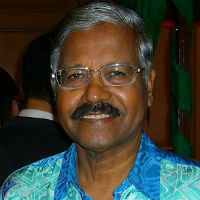 Distinguished Fellow, Institute for Strategic and International Studies, Malaysia (ISIS); Adjunct Professor, International Islamic University of Malaysia (IIUM) and Management and Science University (MSU), Kuala Lumpur; Visiting Professor, Macau University of Science and Technology (MUST), Faculty of Law. Former: Ambassador and Permanent Representative of Malaysia to the WTO, Director of International Trade and Deputy-Secretary General (Trade), Malaysian Ministry of International Trade and Industry (MITI). Advises the Malaysian Federation of Manufacturers, Asia Pacific Research Network on Trade and Development issues (ARTNeT) and is also a member in several government committees relating to trade and investment policy issues and negotiations.